GameStop COO: DLC is a "Good Thing"
Despite its potential to reduce the pre-owned games trade, GameStop COO J. Paul Raines says downloadable content is "a good thing" because of its overall positive impact on the medium. You might think that GameStop would cast a jaundiced eye on DLC, at least as it's been employed by BioWare in its last two games, Dragon Age: Origins and Mass Effect 2. With both, BioWare included launch day DLC that's free to new customers but a hefty $15 for anyone buying a used copy, a glaring disincentive to anyone considering that route. Yet Raines, whose company relies heavily on the sale of pre-owned games to maintain healthy profit margins, sounded surprisingly upbeat about it. Taking part in a panel on the future of digital distribution at the Game Business Law conference, Raines acknowledged that many developers and publishers aren't happy about the "behemoth" GameStop has grown into, but added that GameStop itself has concerns about giant retailers like Wal-Mart and European game retailers. "The only way a company like ours survives is being dedicated to the category," he said. That dedication apparently extends to DLC, which Raines indicated GameStop sees not as a threat but as an opportunity. "Downloadable content is a good thing because it enhances and extends games," he added. The downloadable market remains small, largely because customers experience too much "friction" when trying to get to the content, Raines said. He suggested GameStop could help grow the market by making it easier and more accessible for consumers. "That business could grow medium double digits today," he claimed, slipping into a thick, nearly unintelligible dialect of marketspeak. "Customer acquisition continues to be a huge part of the spend in this business." 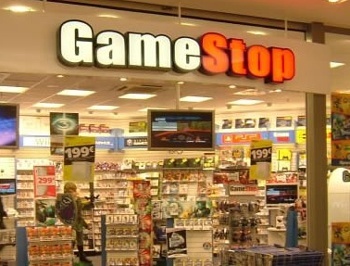 As for GameStop's current condition, Raines said the company is doing well. ""Rumors of our demise have been greatly exaggerated," he added. "We'll release financials in a few weeks, so you'll see if we're still in business."